Our methodology is rather unique : anchored on 20 years experience, it combines technics experimented and learned in both France and the US. AIDA: a model invented in the XIXth century for vendors in shops, then used in advertising and finally revisited by Sandrine Meyfret and applied to interpersonal communication and impact. The power of this model is proven every time we use it with clients. This method works exclusively on the individual and who he is and takes into account each person’s specificities. The aim is to provide each participant with a style of expression adapted to who he is and targeting impact of his audience. We don’t mean to provide a recipe or a miracle solution. We all come to the world with the ability to communicate. We’re all equiped with everything we need to communicate with one another. It’s all about recovering what we’ve lost by the weight of education, awkward experiences or mental block. The technic supplements what’s existing within. We are permanent emitter / receptor. Unconscious and conscious are links to provide information flux and also to receive and act further. Mind, memory, langage, thinking and body are efficient transmitters if we show consistently the desire to go toward the other, to foster the relation and if we are clear with our mental intention : push to act. SPEAKING HAS AN AIM, OUR SPEECH IS ONLY A MEAN. Among available disciplines : PNL, Transactionnal Analysis, Influence technics, public speaking technics, chant technics, psychology, philosophy, Engagement Technics, Management models. With one aim : higher impact when speaking. 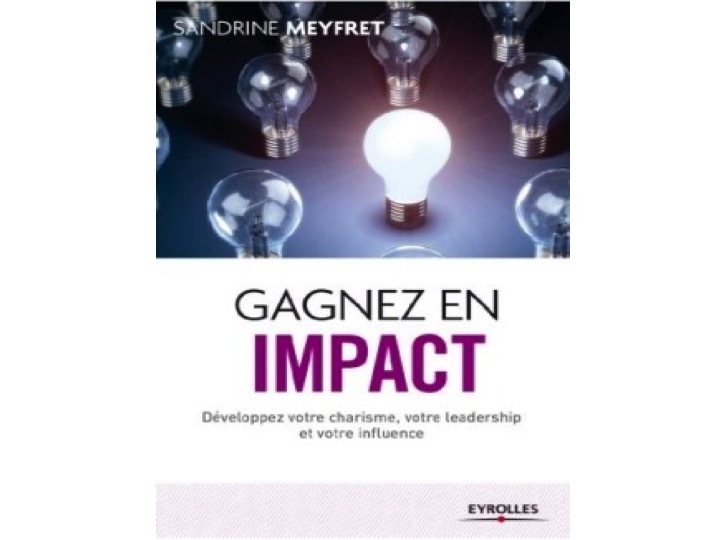 This unique methodology, created by Sandrine Meyfret, has been chosen by “l’association HEC” for trainings proposed to Alumni and is the subject of a book at Eyrolles.